A National Scholastic Athletics Foundation Select Meet! NFHS sanctioning MD, VA, DC, CT, DE, PA, NC, SC, NJ, NY! Compete with Top Teams on East Coast! Fully Automatic Timing (F.A.T.) ! (same surface as new track at Penn Relays)! Meet will include 400m Hurdles, DMR and SMR! Team Trophies and Individual Awards! PLEASE NOTE: REGISTRATION IS FILLING UP FAST. REGISTRATION FEE must be PAID by Mar. 24 to guarantee entrance into this meet. NO PAYMENT COLLECTED AT MEET. NO REFUNDS GIVEN AFTER REGISTRATION CLOSES ON APRIL 5. Limited to first 70 Teams! TRACK EVENTS- Please note that times are TENTATIVE! Please have your athletes check in 30 minutes prior to their event! *Top 24 entries in each event, verified by meet management through Milesplit. In order to do so horizontal entries will be cut off 7 days before competition so that the marks can be verified. Selected athletes will be posted on flight sheets by Wednesday . Once posted, coaches should be given 36 hours to protest if they feel their jumper has been excluded. Coming from out of town? 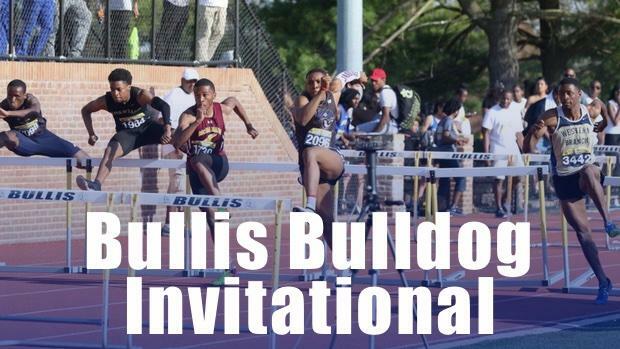 We've negotiated a special Bullis Bulldog Invitational rate! This hotel is conveniently located just few miles from Bullis. Great location with lots of things to see in do right outside the hotel.